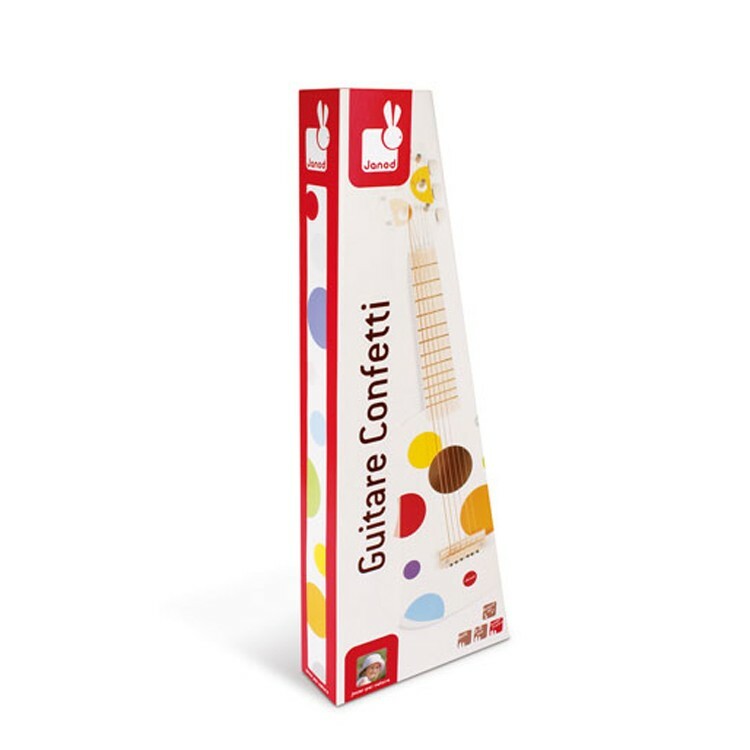 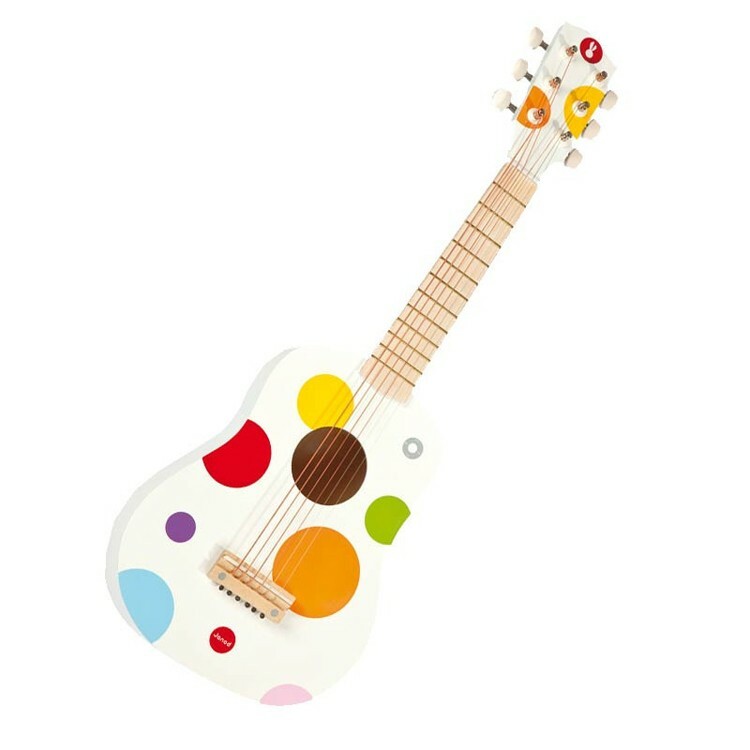 This beautiful looking Confetti Guitar will complete your home or classroom collection of toy musical instruments and will let its player to make first steps in the world of acoustic music. 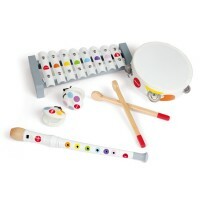 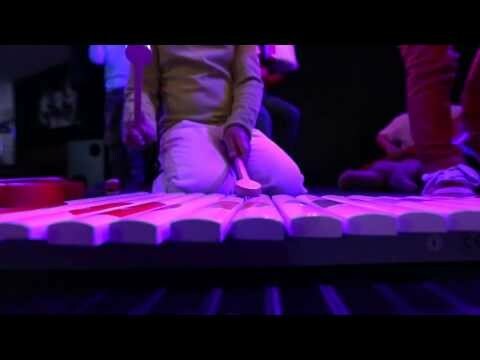 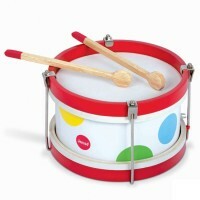 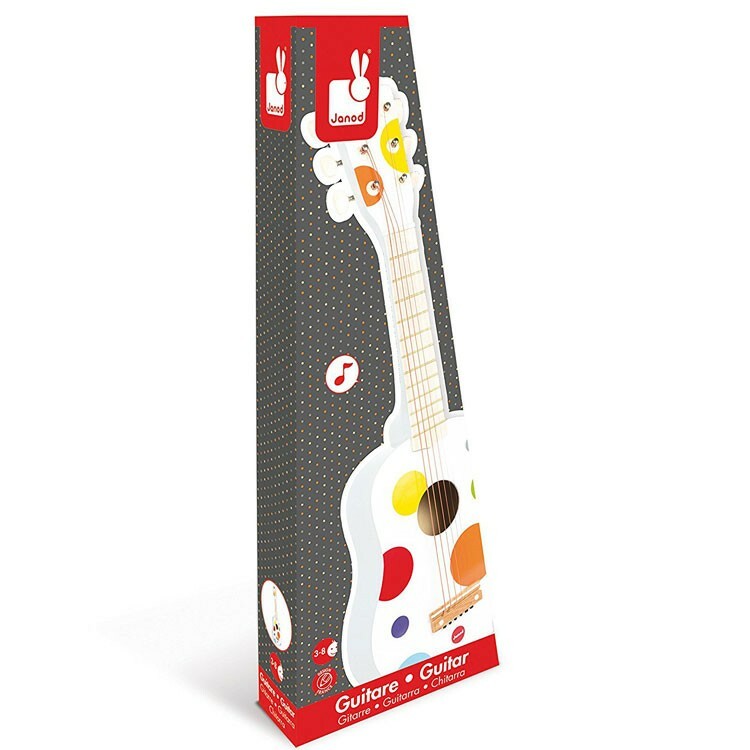 Designed with great fantasy in France and made with exceptional quality, Janod's Confetti series of toy musical instruments are so colorful and attractive for kids, that preschoolers and toddlers dream to play them. 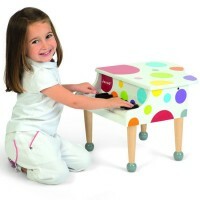 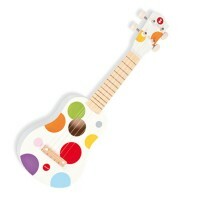 The new Toy Acoustic Guitar Confetti Musical Instrument is a terrific addition to this collection. 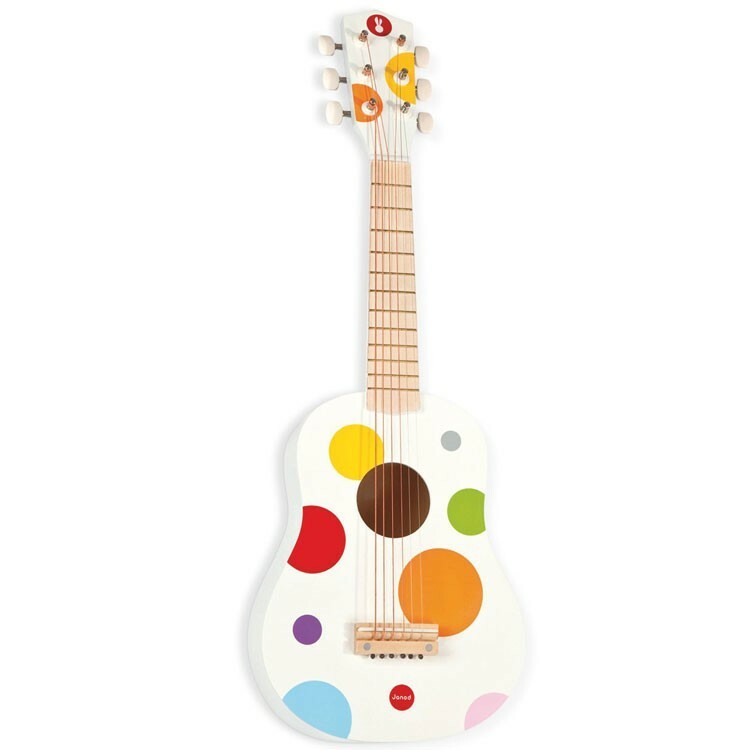 Sized just perfect for the little hands, this multi-color guitar has everything the real acoustic guitar features: all-wood body, 6 steel strings, and tuning pegs. 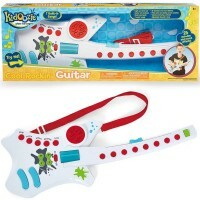 No matter if this kids guitar is tuned perfect, it will bring tons of musical and performing fun for the preschool musicians. 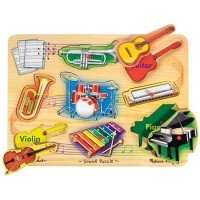 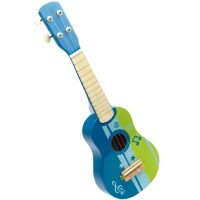 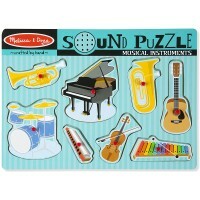 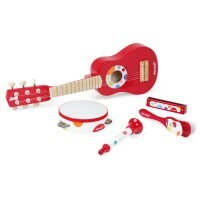 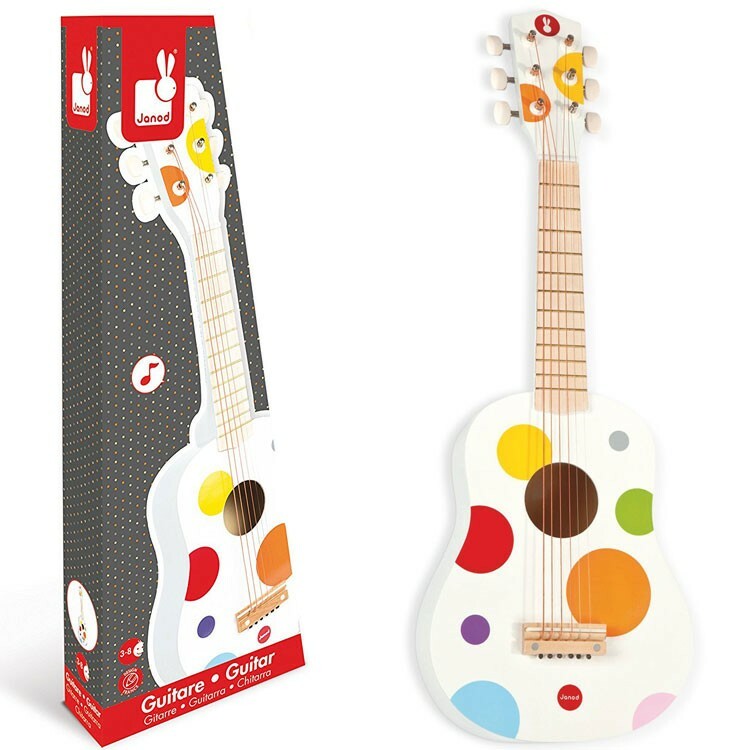 This super stylish kids guitar from Educational Toys Planet will is one of the top selling musical gifts for kids. 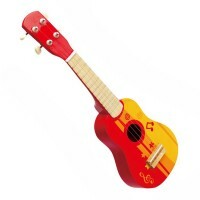 The children wooden toy guitar measures 25.2 x 8.7 x 2.5 inches. Dimensions of package 8.66" x 25.2" x 2.48"
Write your own review of Toy Acoustic Guitar Confetti Musical Instrument.